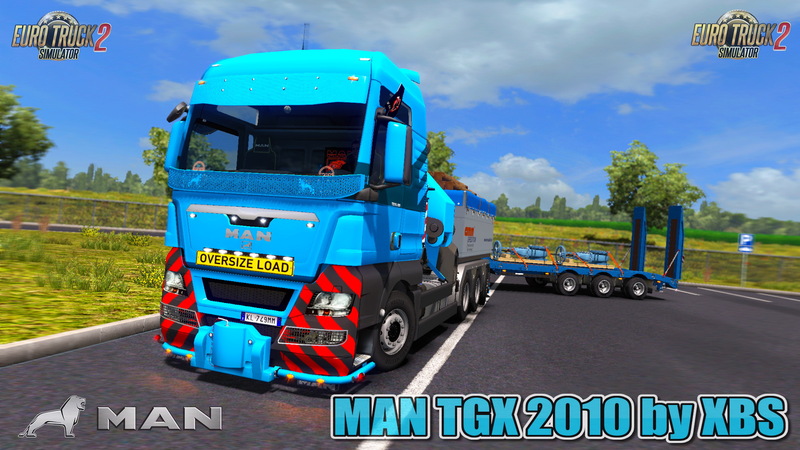 Gameplay videos with MAN TGX 2010 v4.5 by XBS (1.28.x) for Euro Truck Simulator 2 game. - Added: New BDF Trailers (Krone Steel Box, Box carrier, Load carrier). - Added: For BDF Rigid chassis bodywork – Krone Steel Box, Box carrier, Load carrier.